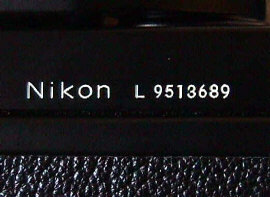 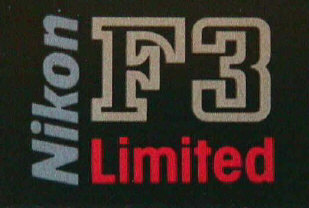 In 1994 Nikon offered the Nikon F3 Limited, but not for export to the US market. 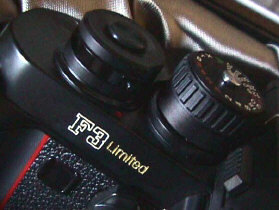 The Limited shares many features with the earlier F3P : a titanium prism cover, prism hot shoe, taller shutter speed dial, and taller shutter release with mechanical lock. 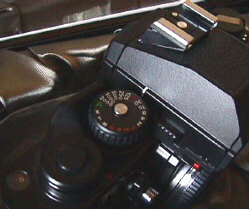 Like the F3P, it is void of cable release socket, self timer, shutter blind, secondary film door lock, and multiple exposure lever. 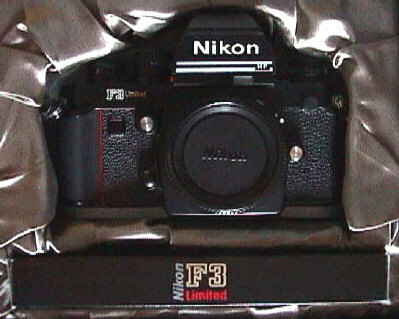 The only differences to the F3P that I noticed were the "Limited" engraving, the "L" serial number, the standard back instead of the MF6B, and the fixed B screen instead of interchangeable focusing screen. 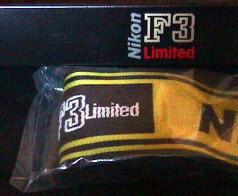 The F3P was issued in a special presentation wooden box, with a special F3 Limited camera strap.